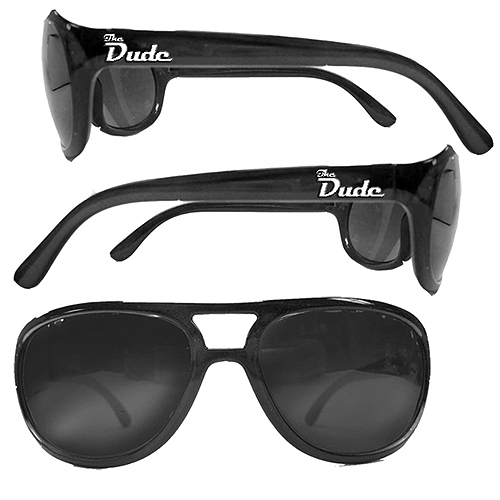 Big Lebowski Dude Sunglasses: Live the life of "The Dude" from The Big Lebowski with these sunglasses! The perfect addition to your Dude costume! Screen-accurate replica sunglasses!Jeffrey "The Dude" Lebowski is a real laid-back kind of guy. He enjoys bowling, driving around, and having the occasional acid flashback. Now you can emulate the awkward anti-hero from the cult classic film The Big Lebowski with these replica sunglasses. Glasses feature UV coating and include a logo pouch. Order yours today! Measure about 5 1/2-inches wide. 3 x 5 ft indoor rug that really ties the room together. Actual color and size may vary slightly. via Misc | Bill Green Studios.